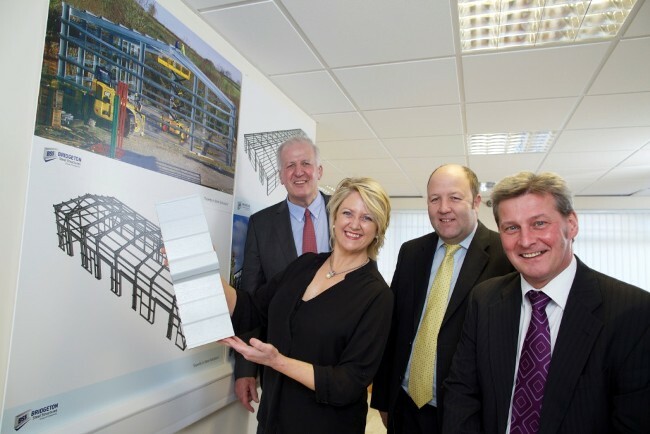 Finance Yorkshire has surpassed the £85 million mark with a significant equity linked investment in a company that uses unique, innovative technology to design and supply lightweight steel buildings. The £450,000 investment in Bridgeton Steel Structures (BSS), based at Elvington near York, means the regional funding body has now made 668 investments in businesses across Yorkshire and Humber. It has created and safeguarded 8,716 jobs and increased collective turnover by £224 million. Its £90m fund will be fully invested by the end of the year. BSS uses its own computer-aided design (CAD) software to design lightweight, steel-framed building systems, ranging from standard industrial units to architecturally-driven solutions. The designs offer simplified construction, quality, consistency and speed when compared to traditional building methods. They are economical to transport and quick to build. The high strength to weight ratio of the steel frames reduces foundation requirements, saving companies money on their pre-build costs. The buildings are used in a wide range of sectors including retail, agri-business, waste management, renewable technology and local authorities. Recent developments include a distribution centre for a confectionery business in Devon. Brian Garvey, managing director, is a construction industry veteran who worked on the Athens Olympics in 2004. He launched BSS in 2012 with his wife Jacquie. The £450,000 Equity Linked investment from Finance Yorkshire will be used to support the development of the business, including, enhancing its CAD software design capabilities, recruiting technical project managers and hiring a business development manager to enhance marketing. Finance Yorkshire chief executive Alex McWhirter said: “This is a milestone deal as we pass £85 million of investments in 668 companies in Yorkshire, securing and creating over 8,000 jobs. Brian said: “Our software cuts out many of the costs associated with pre-build. It’s an ideal solution for SMEs that require new units. “Rather than go to an architect and an engineer they can come to us where our software will automate these processes and quickly provide a cost and 3D drawings. “We can design and deliver a fully engineered, low maintenance, integrated building system. The building can be put up within a week, depending on size. Bridgeton Steel Structures was advised on the deal with Finance Yorkshire by Asad Ali of Blacks Solicitors. Peter Considine, Edward Ainscoe and Tara Bray of law firm Walker Morris advised Finance Yorkshire. The deal was introduced to Finance Yorkshire by Steve Gledhill of SJG Consulting. The project is supported financially by the European Union. It has attracted £30 million investment from the European Regional Development Fund (ERDF) as part of Europe’s support for the region’s economic development through the Yorkshire and Humber ERDF Programme, £15 million from UK Government and £45 million match funding from the European Investment Bank.